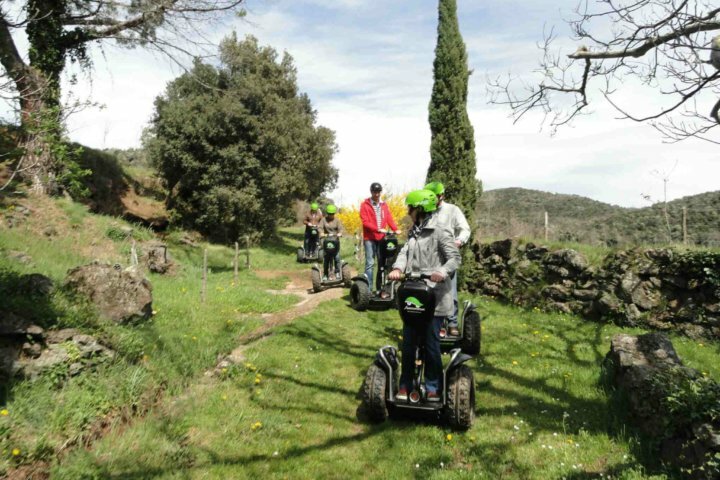 This amazing vehicle is a two-wheeled electric vehicle used as a convenient way to explore and visit around our great locations in Spain. It is a self-balancing device and its name is derived from the word of segue which literally means follows. The Segway its easy to manage and drive. You do not need a driver license only its necessary to have a minimum of weight between 40-45kg/ 6.29-7 stone and maximum of : 117kg / 18 stones. the Segway is a very resilient machine, in certain extreme weather conditions and its capable of travelling at speeds of up to 12.5 mph. To move the Segway forward or backward, the rider just leans slightly forward or backward. To turn left or right, the rider simply moves the LeanSteer frame leflt or right. You get the sense of power and speed, safety and absolute control.